My pet dog is an ancient German Shepherd, and you wouldn’t believe how proud of him I am. He’s gorgeous, to start with. 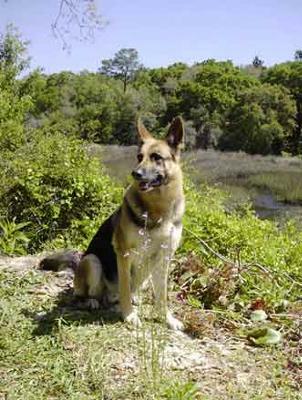 Short hair, black and tan – he’s the paragon German Shepherd you think of when the breed is mentioned. You’ve not seen a German Shepherd until you’ve seen Hunter. The thing about Hunter, though, isn’t that he’s gorgeous – even though he is – he’s better than that. Hunter is also exceptionally clever and exceptionally friendly. He’s got this uncanny ability to befriend other Dogs – even those who don’t generally like Shepherds, and of course every human he meets loves him. When I was younger my father used to swing him around with one of his dog toys – a rubber tug-toy he’d had for years. My father would ask ‘Want to spin?’ and Hunter would get the toy, come trotting up and wait to be flung – bodily – in an arc around my father while hanging on to the toy. He loved it, but it was probably one of the less intelligent things my father taught my dog. My father and Hunter were always up to mischief together. 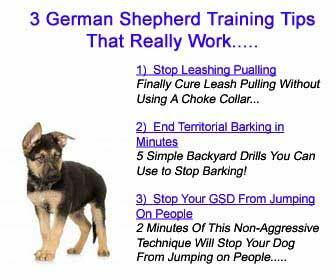 My father would teach him the WORST habits (And the worst dog tricks). My father taught Hunter the perfect way to beg for food, for instance. He started as a good dog who would wait for a little scrap at the end of mealtime, lying on his bed. My father saw an end to that – he taught the boy to sit under the table and put his cold, wet nose into people’s inner knees. My father has a talent for the ridiculous. One of my father’s better ideas was to teach Hunter to play Hide and Seek. We would all go to the woods and run off to hide, except my father and Hunter. My father would then let Hunter off his leash and come find us. It was a surprising amount of fun, and I do wonder if one day his unerring ability to guess which tree my sister climbed would be useful. I doubt it. One thing Hunter does which my father didn’t teach him is dance. That’s all my own stupidity. When I invite him to come and dance, we both spin around the living room. He’ll run in circles around me and then get up on his hind legs and touch my nose with his. I know it’s a very doggie thing to do, it’s not really a trick – but it’s my favorite thing to do with Hunter. After all, he’s a great Dog.